In Dubai, I have a Danish friend, Joachim. His girlfriend Shinae lives in Korea, but last month, she had a couple of days in Copenhagen on her own so Joachim suggested that we met. I thought it was a great idea, so I sent her a message on Facebook and asked if she wanted to join me for Danish smørrebrød at Royal Smushi Café. Smørrebrød is Danish rye bread with different toppings. 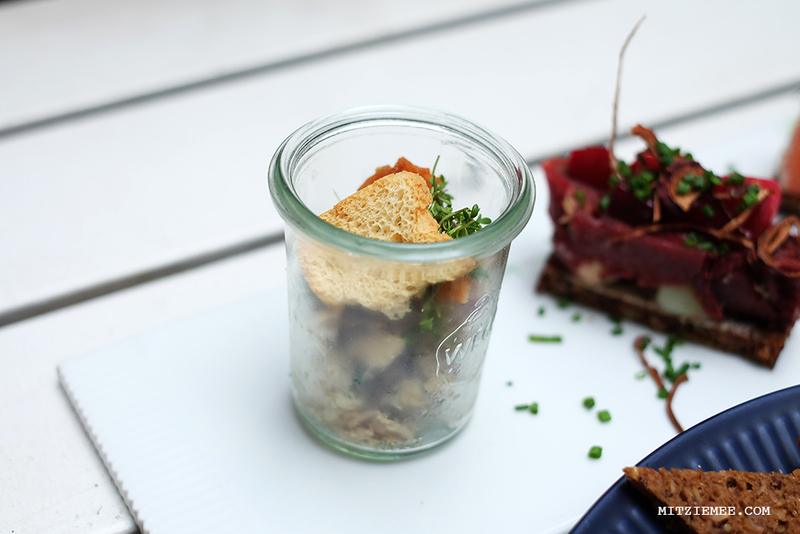 Some of the classics include pickled herring, liver pâté and pork belly, but there are numerous different kinds, including modern, less meat-intensive variants. Smushi is a combination of the words “smørrebrød” and “sushi”, and the smørrebrød at Royal Smushi Café is served as sushi-sized bites on plates from Royal Copenhagen. Traditional Danish smørrebrød can be a bit heavy, and I usually can’t finish more than one piece, but the small smushi-bites allow you to sample several different kinds, so it’s a really great way to get acquainted with this essential part of Danish cuisine without being overwhelmed. I was born in South Korea, but I was adopted by Danish parents when I was 3 months old, so I don’t speak Korean and I don’t have any connections to Korea other than my DNA. In Denmark, there aren’t a lot of Koreans except for the adopted ones like me, so when I on a rare occasion stumble upon a “real” Korean like Shinae, I always grab the chance to ask them everything about Korea. “How do you make kimchi?” “what’s your favorite dish?” “What’s Gangnam Style about?”…When I think about it, I might appear a bit scary. Though Shinae was so nice, and even if she might have thought I was a freak, you couldn’t tell. We talked a lot and laughed a lot and time just flew, so we decided to book in another date the following day at Tante T. More on that later.